Schedule appointments faster by publishing your calendar online. Get more appointments and stay productive. 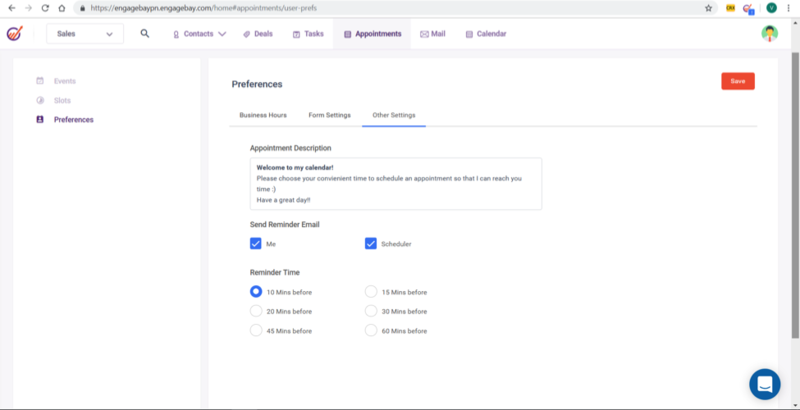 Schedule your appointments faster and avoid email correspondence back and forth by putting the power to book meetings in the hands of your leads. 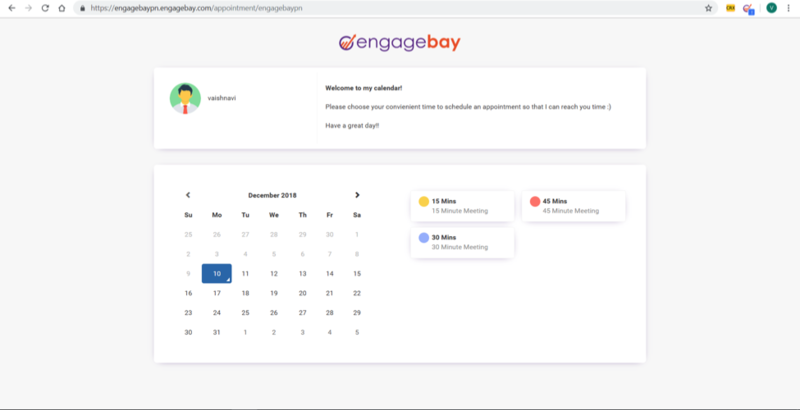 Your calendar stays full, and you stay productive with EngageBay’s simplified online appointment scheduling software. 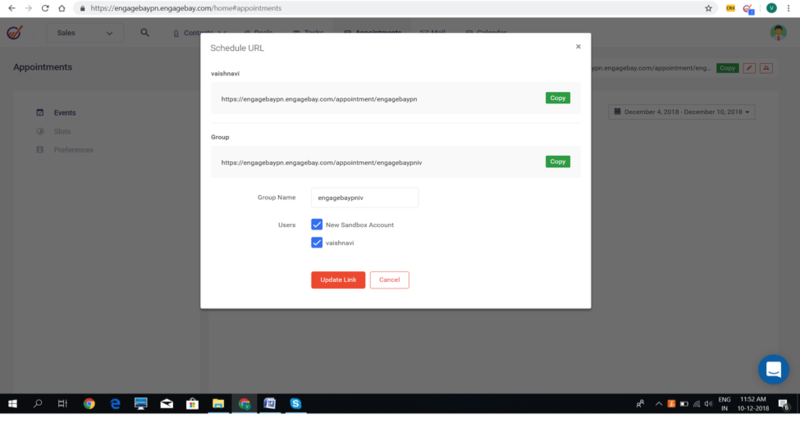 Appointments are automatically synced to your Google or Office 365 calendar, so prospects always have access to your most up-to-date availability status. 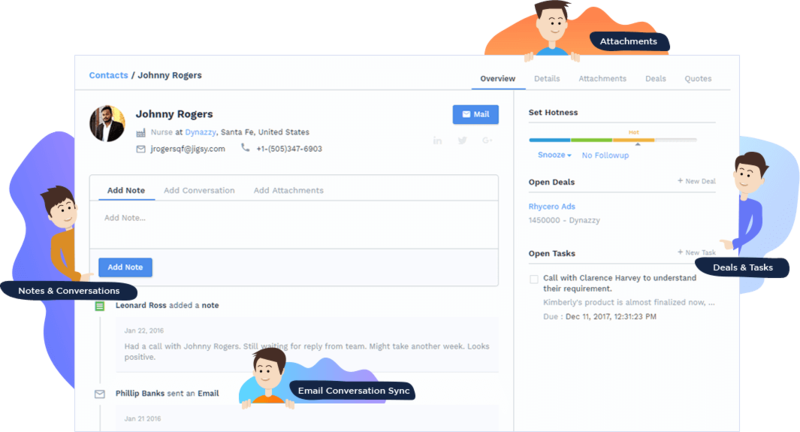 Create group appointment links to allow prospects to schedule time with more than one person in your team. 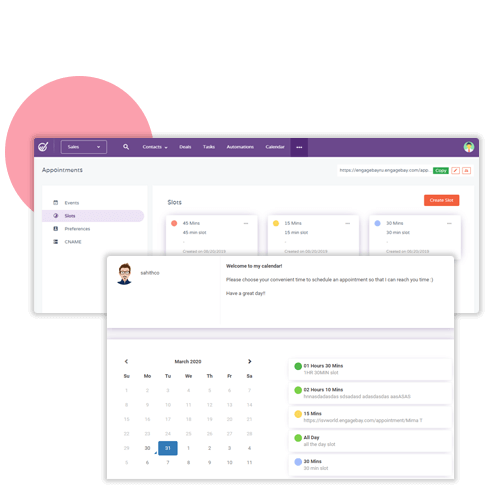 Select users who want to be added to appointments links using our appointment scheduling software. 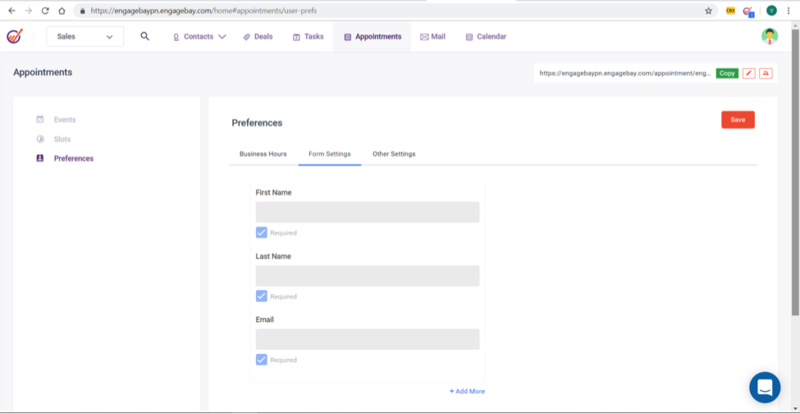 Display the dates and the time slots based on your availability and display them in the appointment scheduling link to your customers and let them choose a convenient slot. Also set available times for each day based on the time zone to avoid any confusion on the appointment day. Gather customer information while scheduling the appointment, by setting up form fields. As prospects schedule meetings, Engagebay automatically creates contacts for the ones which do not exist. Send appointment reminder emails to both user and scheduler and never miss an important appointment. You may setup reminder duration as per your requirement.